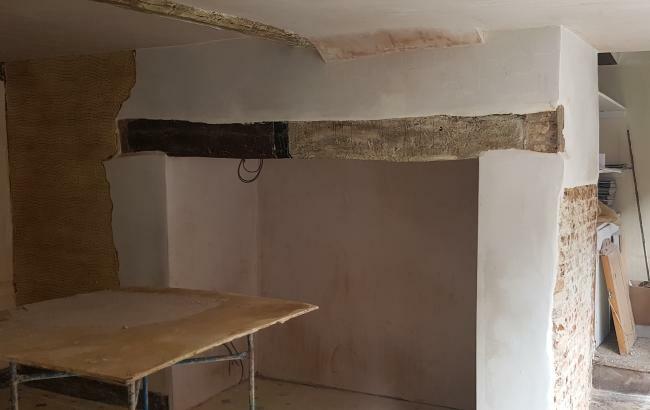 Traditional plastering work can be divided into a number of various categories but ‘wet plastering’ is the most commonly used when working with domestic and commercial properties dating from Circa 1880 up to 1960. 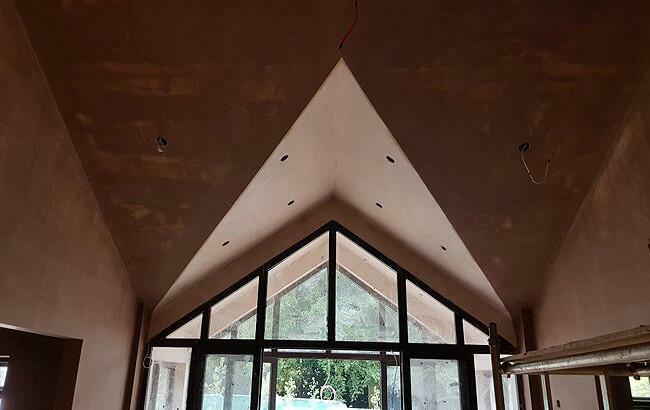 Traditional Wet Plaster work is plastering onto a solid background such as block or brick work using Gyproc hard wall plaster or sand and cement image of traditional plastering mix. This is floated on to make a level surface ready to receive a second coat of plaster. The second coat is a fine skim finish and once dry gives a perfect surface to then decorate. Plaster Patching. 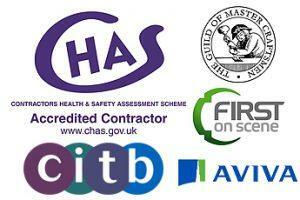 Repair work can usually be done to a good standard as long as the surrounding area is sound. Please contact us to discuss your needs. Traditional plaster work with lime putty. Sharp sand and animal hair onto a solid background as above or onto timber laths on walls and ceilings. Plastering with Wattle and Daub. Ceilings and walls to traditional and ancient buildings, a process dating back many centuries. The most common sizes of plaster boards for tacking or drylining we use are 6ft x 3ft or 8ft x 4ft by either 9.5 mm, 12.5 mm or 15 mm thick. 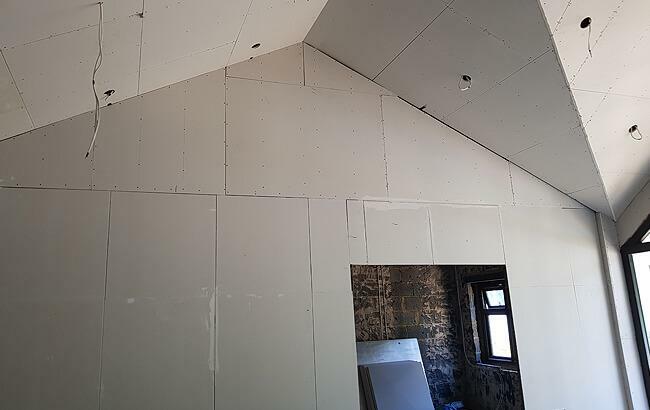 All the above types of plaster boards can be used for drylining apart from Duplex as this type of plaster board has a foil coated back of the board, which can only be used for tacking onto timber or metal stud. This type of board is normally used to stop water ingress. 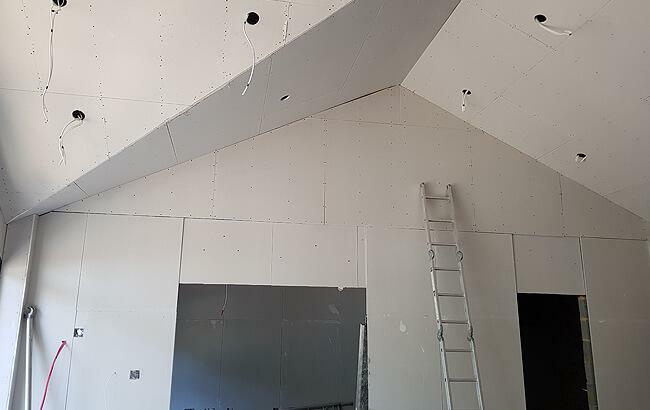 We always plaster skim our dry lining rather than tape and joint. Plaster skimming to any type pf plaster board leaves a perfect finish ready for decoration. The tradition of plastering with Lime putty, a mixture of lime, sharp sand and animal hair dates as far back as 6,000 years. The ancient Egyptians used lime to plaster the pyramids at Giza. Only in the last 125 years or so with the introduction of Portland Cement has it’s use declined and has eventually been superseded by the use of cement based plaster products. While the quick setting and high strength properties of cement based products are perfect for modern and new build projects. It cannot to be recommended for stone, brick or timber lath structures where lime was originally used. Lime putty is carried out to a 3 coat finish. The first coat of lime putty, sharp sand and animal hair, (goat or horse). The second coat the same lime putty, sharp sand and animal hair mixture. This is followed by a third coat of lime putty and fine sand normally with no animal hair. Animal hair can be incorporated if specified. There are many different types of lime which can be used even today for building construction. 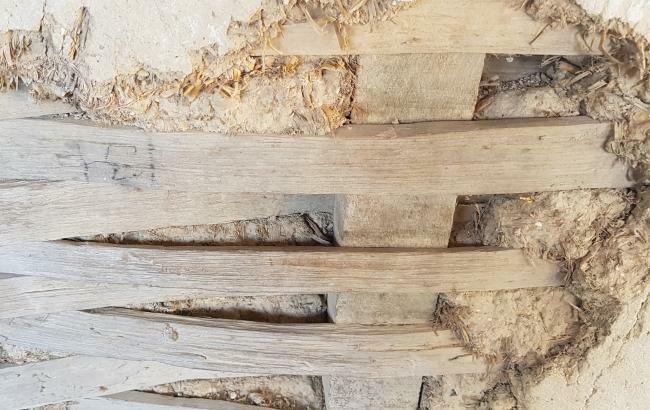 Wattle and Daub is a traditional method of building non load bearing walls and is often seen painted white as infill walls in timber framed buildings. Another use is for dividing the rooms of cottages and houses. 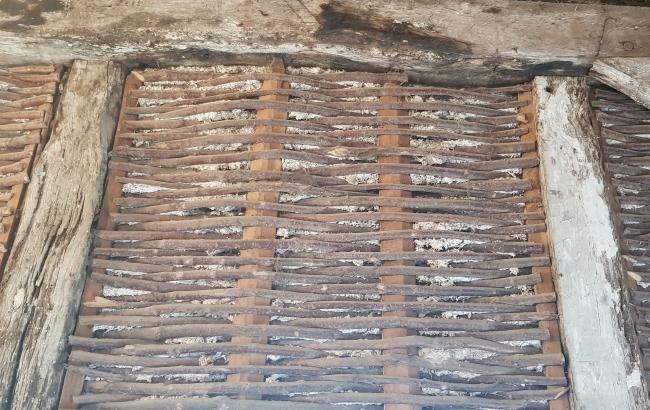 When restoring Grade I listed buildings it is essentual that the Wattle and Daub is replaced with like. With Grade II listed buildings the critera is a little less and it is not always specified but many councils will require it. The Wattle is a series of wooden uprights (Staves or Sails) with smaller wooden laths (Wands or Withies) woven through at 90%. Although it varied from region to region, the most common timbers used were oak, elm and hazel. The Daub is a mixture of Clay, Loam, Straw, Cow Dung and Water although again as with the wattle timbers above, this varies regionally. Once the Daub is mixed it is pressed onto the Wattle, normally both sides and allowed to dry. There are two mixes of Daub a wet mix and a drier mix, we normally use the drier mix as it reduces later shrinkage. Depending on specification, the dry Daub can then be skimmed with a thin coat of lime putty.